Yorkshire Laser is one of the UK’s leading Sheet Metal laser cutting companies accredited to ISO 9001 & ISO 14001. Our reputation is built on reliably supplying your laser cutting solutions on time, within budget. We will quote within 24 hours and deliver the next day. Ability to create intricate detail, etching or marking – you can be artistic! 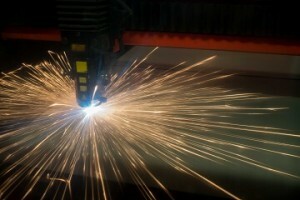 With 15 years expertise and experience we know our stuff when it comes to laser cutting. We also know you don’t stay at the top of the league without investing in your team, your plant and your business. Yorkshire Laser’s team of expert designers can work on complete projects from start to finish, or we can offer a subcontract service to other sheet metal fabrication companies searching the accuracy and quality our machines offer. We’re proud of the machinery we have invested in – it helps us stay ahead of the game. Bystronic Bystar 4.4kw resonator enables us to process large sheet metals up to 4 metres by 2 metres in size. If that wasn’t enough Yorkshire Laser and Fabrication has Material Resource Planning (MRP) software. Reduce costs to deliver a better service to you – our customers. With more than 17 years sheet metal laser cutting experience our expert team have the job knowledge needed to ensure we not only fulfil but hopefully surpass your sheet metal profiling expectations.